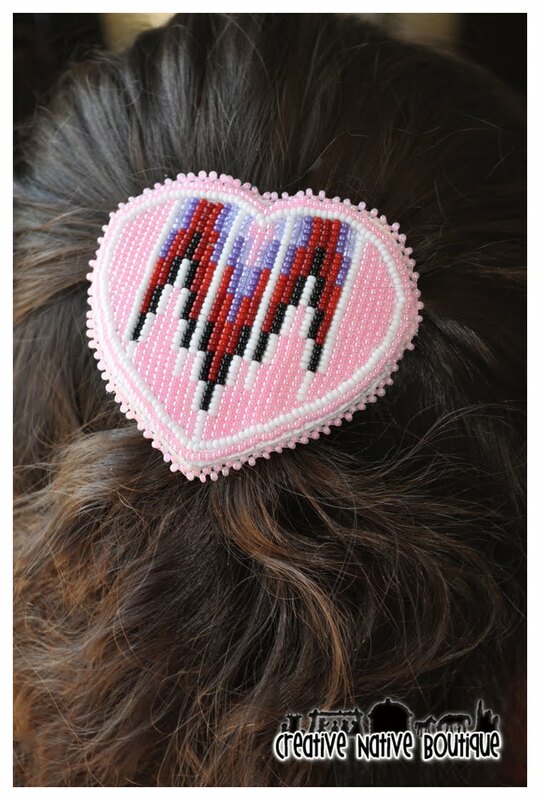 Here's a barrette I recently sold...as you can see it's basically the same as the other pink barrette I have listed, but with this one, the customer requested I swap out the yellow and orange for shades of purple. So if you see something you like, but would prefer it in a different color...just let me know! 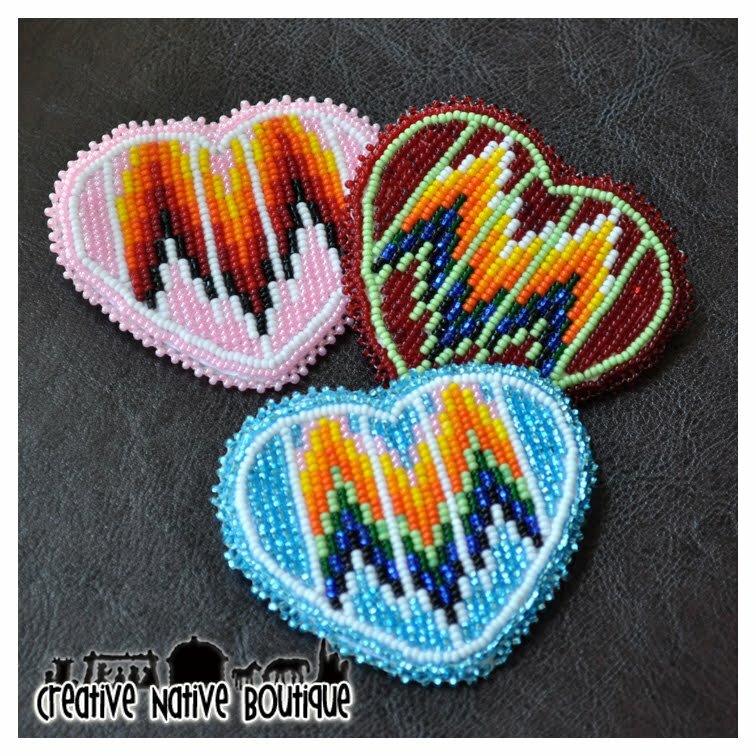 Here are some beaded barrettes I recently finished. 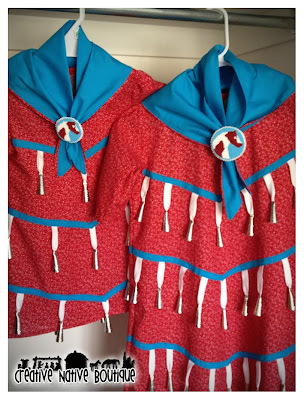 They are a Shoshone design and as pictured come in Pink, Red, or Turquoise. $30 each. (Custom colors are available.) They are sewn to white deer hide and have a durable metal barrette attached. These are some tiny fully beaded moccasins I made for my dad recently. 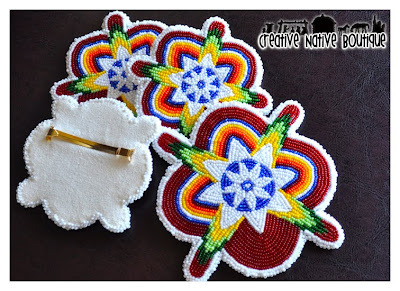 They are about 2 inches long and are connected in a pair as a wall-hanging, or to hang on the rear-view-mirror in your car. They are a Sioux design. This order has been in the works for a couple months now. I love how they turned out. The design is so striking! 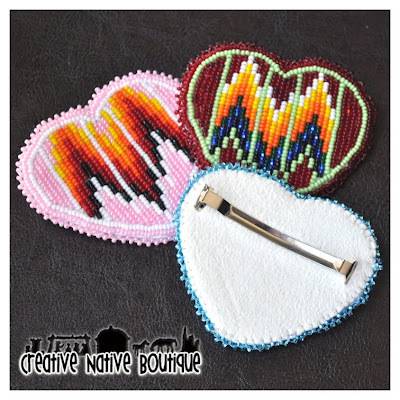 Included in this order was a pair of Women's fully beaded moccasins (size 9) 2 medium-sized barrettes, a pendant, and 1 large barrette. This is a Grass Outfit I recently made for a 5 month old in Iowa. 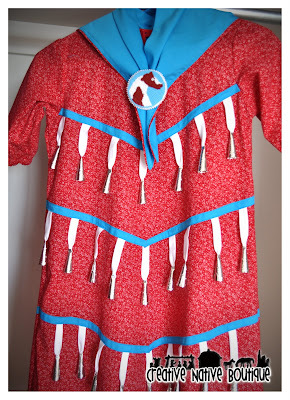 The top part of the outfit is sewn to a onesie and pulls over baby's head. 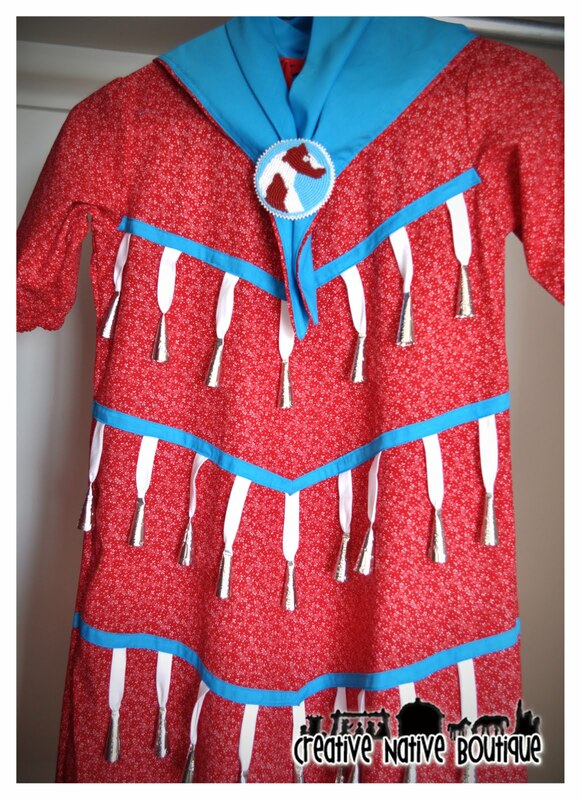 The bottom apron has an elastic waist making it easy to pull off and on. 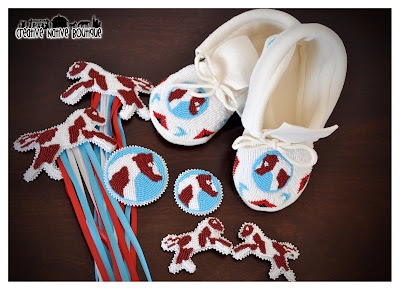 I also included elastic cuffs for baby's ankles. 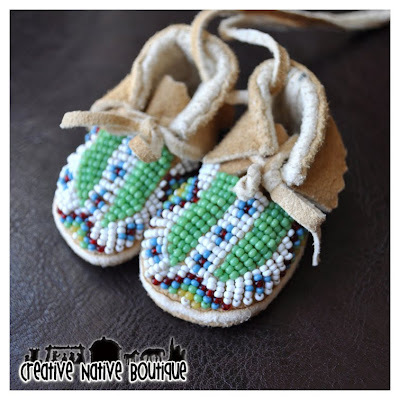 Want one for your little Baby Grass Dancer? Message me for pricing/colors/designs etc. 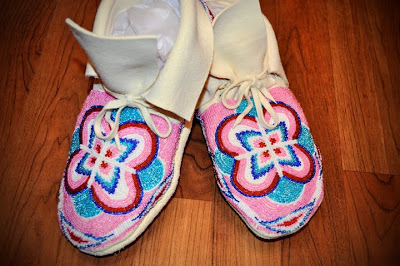 Here are some women's moccasins that I recently finished. 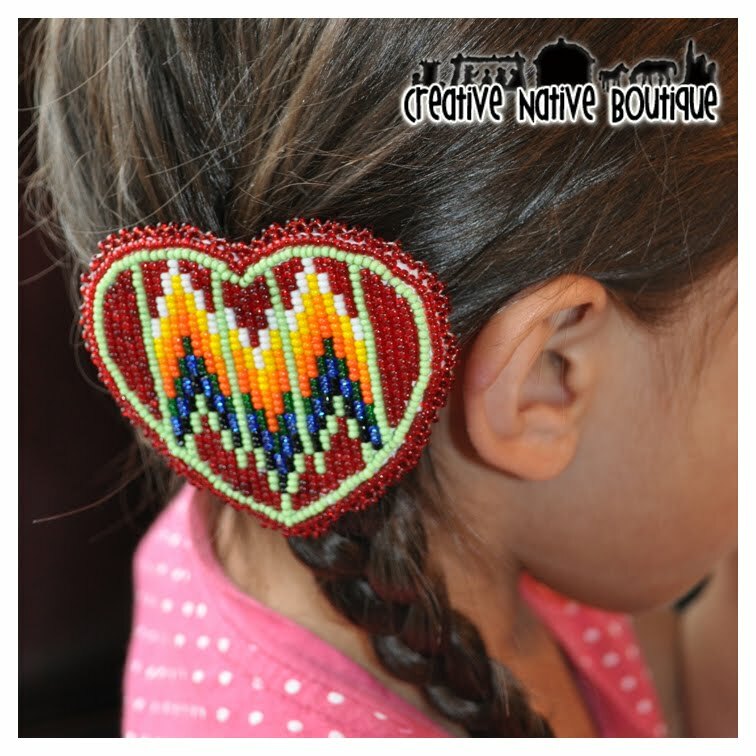 They are a custom order, and were made to match a set of barrettes in a photograph. They are fully beaded, and when I'm completely done, will come with matching barrettes and pendant. 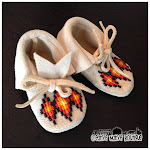 They are a women's size 9 and are sewn onto white German tanned deer hide. If you have questions about pricing or placing a custom order of your own, message me or leave a comment here! 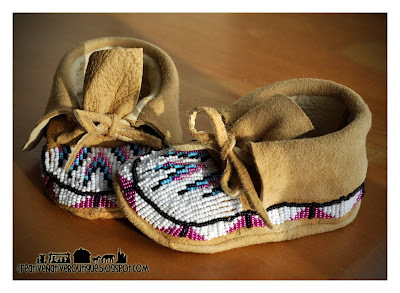 A good friend of mine asked me to make some baby moccasins for her new baby boy. 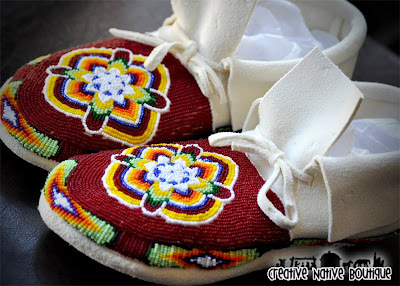 These are fully beaded with a Shoshone design. 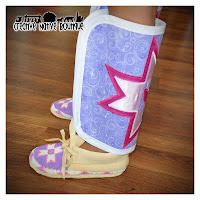 They are sewn onto white deer hide. 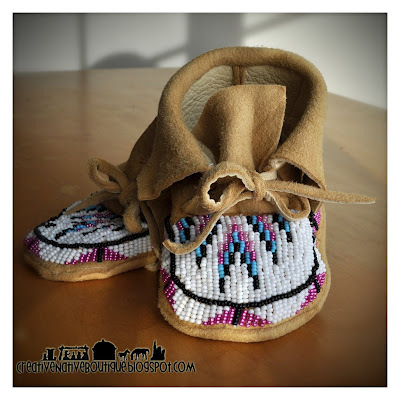 Here's the latest baby moccasins that I've made...in a Shoshone design with white background. These are a size 3. 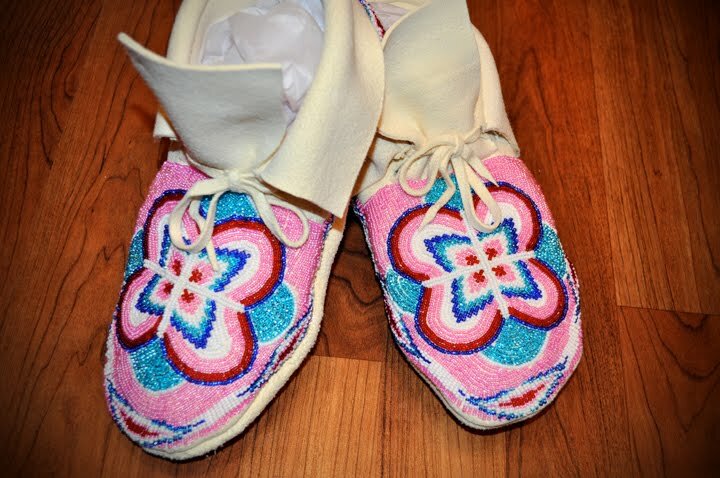 They have a fully beaded toe and full beaded border. These were sewn onto white commercial tanned deer hide. They are super soft and comfy for those little chubby baby feet! Here are some Women's Fully Beaded Moccasins that I just finished recently. They were made for a woman in Canada. She wanted them to match a set of accessories she had, and so she sent me a photograph to match. These are a woman's size 8 1/2 - 9. 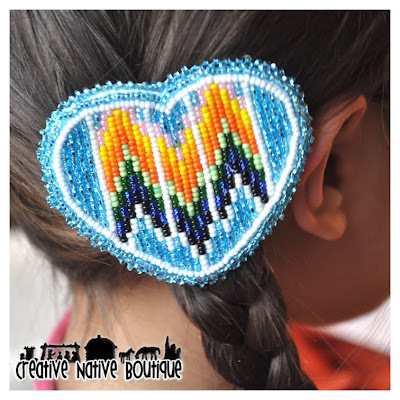 The beading was a bit intimidating, as the design was pretty complex. However, I think the colors and design all came together really well! These were sewn onto commercial-tanned deer hide. 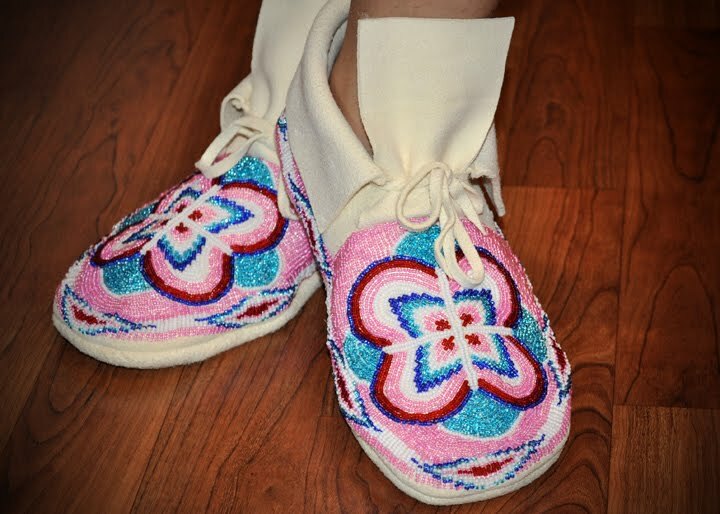 If you'd like to order some custom moccasins, let me know! I am open to different designs, colors etc. just message me! Here is a grass outfit that I just finished for a little Comanche boy. 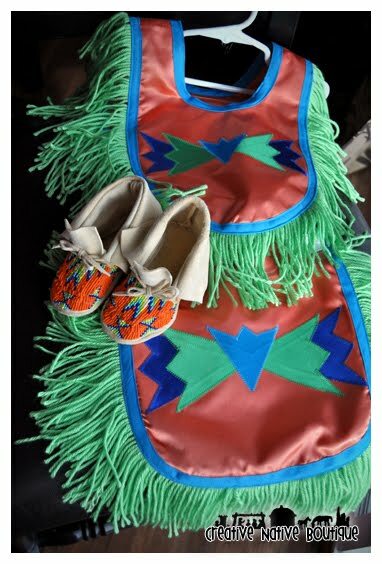 The grass outfit is a size 18 month-2T and the moccasins are a size 5. 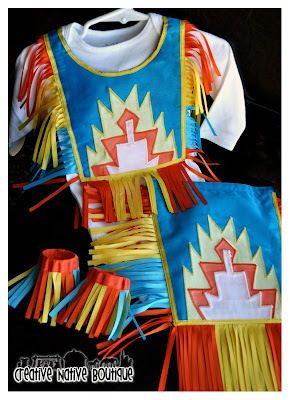 It was sewn with 3 shades of satin--orange, green and turquoise. This particular outfit was a custom design to match the customer's beaded headband. 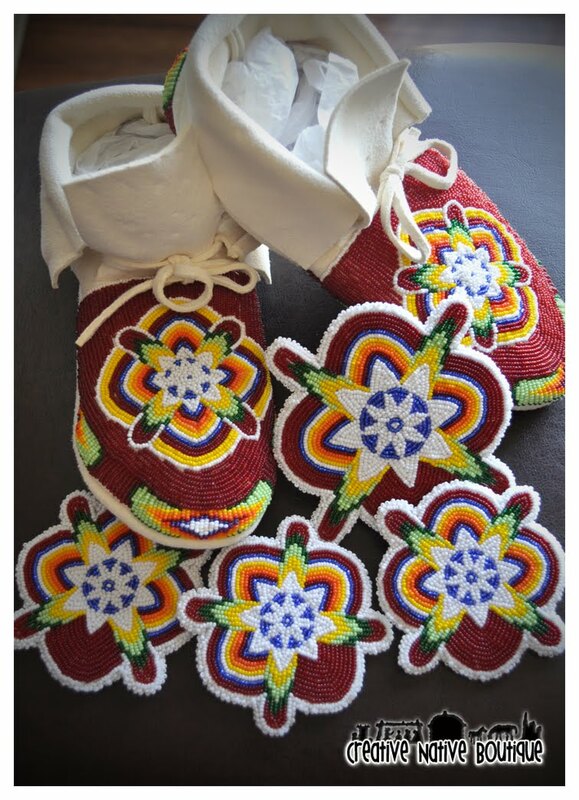 These moccasins are fully beaded with border and a Shoshone design on the toe. 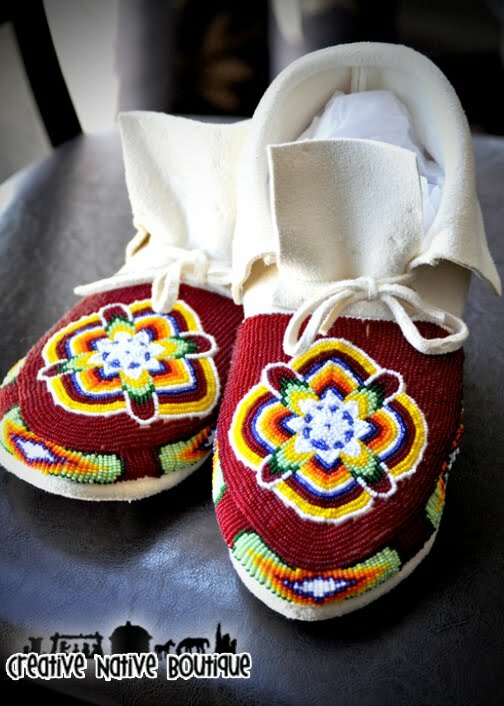 They were sewn with commercial tanned deer hide. Price for outfit: $75. 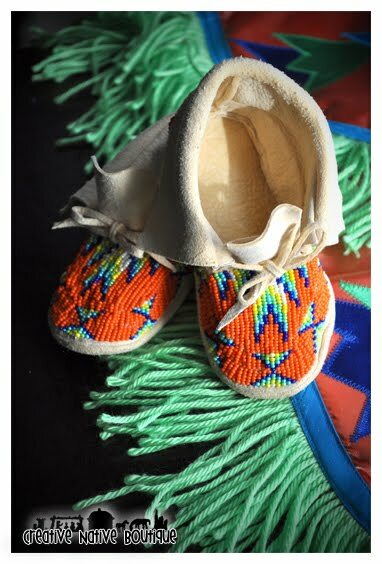 Moccasins $75. Message me if you'd like to order a custom outfit with colors and designs of your choice!